What’s the Average American Household’s Credit Card Debt? Credit card companies provide a valuable service: they allow consumers to bridge the gap between what they want or need to spend money on, and what they can afford. The most responsible borrowers use their credit cards to bridge the gap, but then pay off their credit cards in full each billing cycle. Unfortunately, many borrowers spend more than they can afford to pay off, and therefore carry a balance from month to month. Carrying credit card debt has become so commonplace that few borrowers give it a second thought as long as they can make their minimum monthly payment. The tradeoff comes in the form of interest payments, which add an additional premium to each billing cycle. 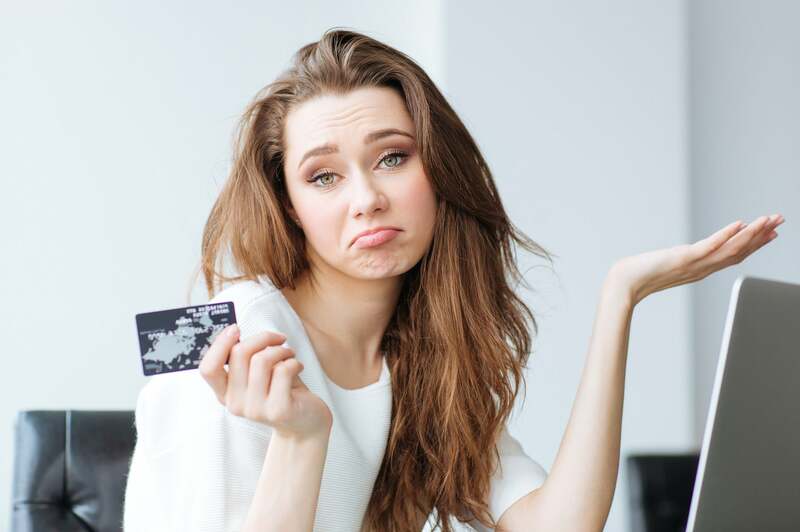 Today, the average American household owes $16,748 in credit card debt, according to NerdWallet’s 2016 American Household Credit Card Debt Study. That debt costs each household $1,300 in interest each year. These numbers represent significant growth and also indicate a potential long-term problem. Without more responsible borrowing, many Americans could find themselves in a precarious financial situation. “Taking on debt to cover the gap between income and expenses is a short-term fix with costly long-term results,” said Sean McQuay, credit and banking expert at NerdWallet. American debt has grown in large part because the cost of living in America has outpaced income growth. Median household income has grown by 28 percent since 2003, but cost of living has increased by 30 percent over the same period, according to NerdWallet. While it’s easy to assume Americans use their credit cards to buy luxury goods or take exotic vacations, sometimes people need credit simply to buy groceries. That’s especially true in a country where cost of living grows faster than income. Food and beverage prices, for example, have grown by 36 percent since 2003. It only takes a few months for credit card debt to start spiraling out of control. Interest quickly adds up and a few big-ticket purchases can push you beyond what you’re comfortably able to pay off. Fortunately, you can take steps to improve your credit situation if you’ve identified excess credit card debt. The first step is relatively simple but easier said than done: cut expenses. Find any recurring and non-essential expenses and eliminate them from your budget. If you can, try to increase your income. You could ask your employer for a raise, or take on freelance work to supplement your income. If you’ve missed credit card payments, you might already be paying a price for delinquency. Many credit card companies charge hefty late fees and increase your interest rate in the event of a missed payment. Once you’ve reached this point, it becomes increasingly difficult to dig yourself out of a hole. Working with a professional credit repair partner can pave a clearer path toward eliminating the costly consequences of credit card debt. A reputable credit repair service works directly with credit companies and helps them meet the obligations laid out in your customized credit repair plan. Contact CreditRepair.com today to discuss your credit repair needs and options. We’re a trusted credit repair services provider and the only company with direct partnerships with the three major credit bureaus. This entry was posted in Credit Cards and tagged credit card, Credit Repair, debt. Bookmark the permalink.